Felicia is in the pods. Dead at an early age, she is suspended in a place where memories are a constant companion. She spends hours upon hours plugged in, reliving all of the things that she lost on earth. Then, things start happening. When a friend disappears and a old flame returns, Felicia must chose if she wants to spend eternity plugged into a machine or if she’s ready to fight the battle against the Morati, the angel guardians. Felicia must learn to trust herself, and her unlikely allies, if she is to ever leave Level 2. I have to say I have heard a million things about this book. The huge hype this book received is quite the envy of a fellow author. The whole concept of the story, I think, is pretty amazing. The unique world Lenore created is fascinating. It’s the whole purgatory concept taken to a whole new level. I liked the imagery in this book, the way I could see the hive and the pods as if I was looking straight at them. However, while I loved the world created, I didn’t love the characters as much as I wanted to. Felicia had a lot of challenges to meet throughout the book. She grew as an individual, finally making decisions for herself in the end. Yet, I didn’t feel connected to her the way I wanted to. She simply wasn’t my favorite heroine and there’s nothing wrong with that. Julian was probably my favorite character throughout the book. However, I didn’t feel too connected to him either. I guess I was just looking for a little more depth to the both of them, maybe something to make me want them to survive, if that makes sense? I think I liked Julian the best because he’s the one who had some personality to his actions. I didn’t feel much for Neil, because I didn’t feel like we got to know him through Felicia’s memories. He wasn’t really a driving force behind Felicia’s actions, for me. 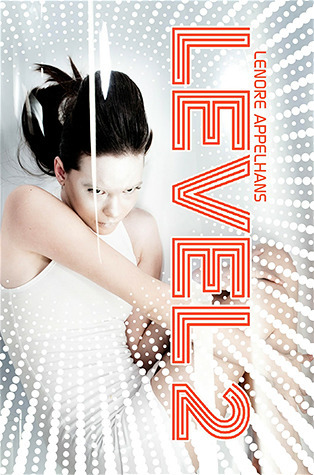 Overall, I think Level 2 is a good book, worthy of reading. The world is beautiful and haunting, and the characters ignite your interest enough for the second book. I’m really intrigued to see where Lenore takes the series next and will be looking forward to reading book two. Level 2 comes out January 15th, 2013! I’d love to hear your thoughts!